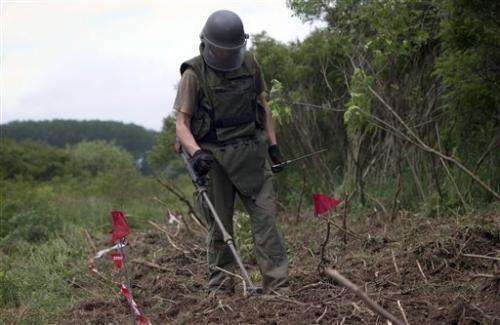 (AP)—Mirjana Filipovic is still haunted by the land mine blast that killed her boyfriend and blew off her left leg while on a fishing trip nearly a decade ago. It happened in a field that was supposedly de-mined. Kezic said American researchers have in the past experimented with mine-searching bees, but TNT—the most common explosive used in the Balkan wars—wasn't part of their experiment because its smell evaporates quickly, and only small traces remain after time. 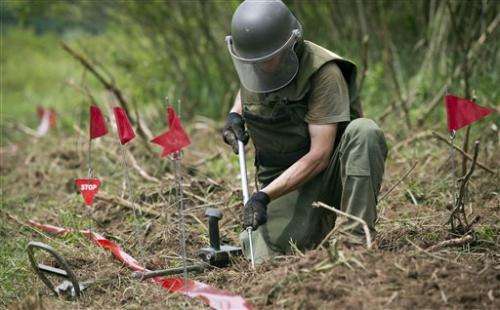 Rats and dogs are also used to detect explosives worldwide, but unlike bees, they could set off blasts on the minefields because of their weight. Can this explain the frightening decline in bee populations worldwide?? 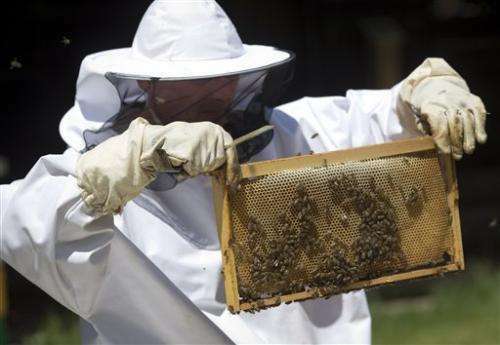 Bees thwart terrorists around the world by finding IED's and weapons caches.